The Navarra Circuit is conceived as an ideal work and communication space shared by different types of spectators and players. Every event, every race, envelops the audience in a special and unique atmosphere in which adrenaline and unforgettable experiences project onto the public a positive and unique insight. The Navarra Circuit offers the possibility to be a protagonist and participant in everything that happens in it. To do so, it creates a Sponsors Program for any company, brand or institution that wishes to participate in this unique and pioneer project in the north-west of Spain. The Program contains different formats and models of participation: Main Sponsor, Official Sponsors, Official Partners, and Friends of the circuit, as well as other possibilities to be protagonist of the Navarra Circuit. 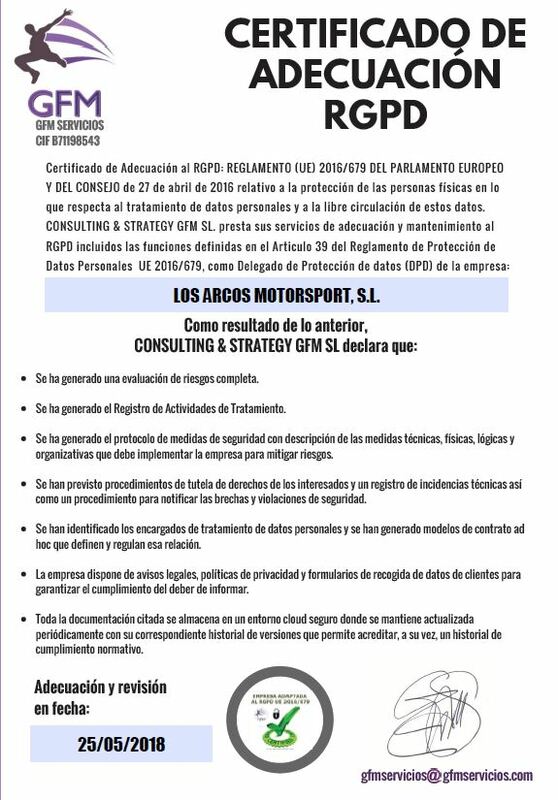 For more information about the Sponsors Program, please fill the form below and the professional team of Navarra Circuit will contact you in the fastest possible way.